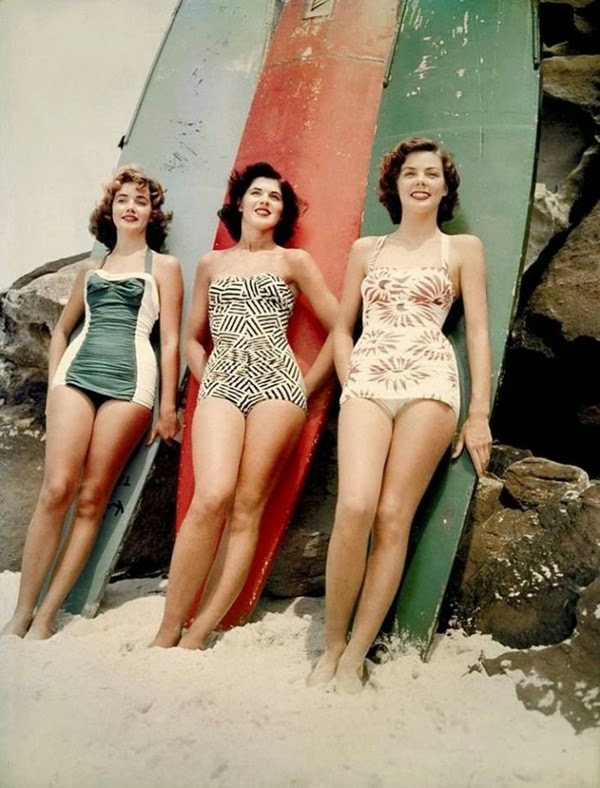 Paper Pearl: Retro Beach: Get your swim on! This upcoming three day weekend has got me thinking about getting a little sun and that means swimsuits. Ah!! I know. We all dread it just a little bit. Remember, we are all beautiful and there is no one perfect shape. Now that we are feeling more positive lets look at some of the fun retro styles we are seeing on the racks this year! I love it. I have a ruched, vintage hot pink number that Laurie helped me pick out a few years ago and I am so glad I got it. Not only is it super cute but I can say it is a bit over 3 years old and it is still a classic look. If you are like me you don't get in the mood to buy swimsuits every year. At all. 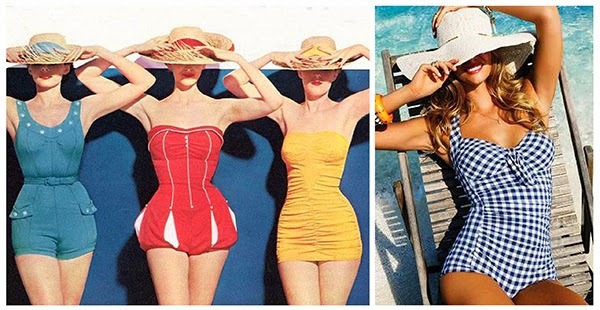 So, here are some classic looks with fun comparisons to what you would have seen in the 50s and 60s. I love that this style has come back around. Check our pinterest page to see these and other vintage beach finds.